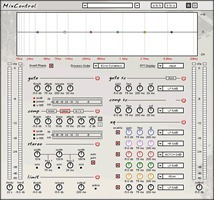 MixControl, Other Music Software from DNR Collaborative. DNR Collaborative Designs has announced a limited time offer, including a free copy of its MixControl channelstrip plug-in with any purchase at its shop. 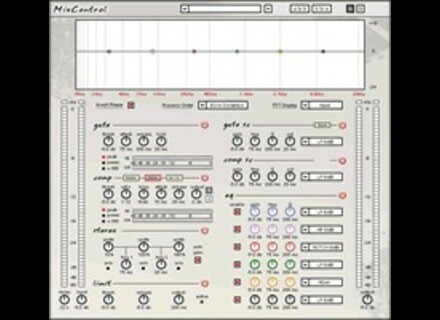 DNR Collaborative Designs is now allowing any purchase to receive a copy of MixControl free with ANY purchase from the DNR webshop until July 4th, 2011. After purchasing, users will receive their copy of MixControl within 24 hours, including a license key good for all 1.x releases and a free upgrade to MixControl’s successor. Voxengo Tube Amp v2.3 Voxengo has released version 2.3 of Tube Amp, a free audio effect plugin that applies asymmetric tube triode overdrive usually found in single-tube microphone pre-amp boxes. Audio Damage Panstation Audio Damage has released Panstation, an auto-panner and tremolo effect plug-in for Windows and Mac. HG Fortune Serenity Serenity is a synthesizer aimed to create various choir and string pad sounds but it is not meant to emulate this or that vintage string and/or choir machine.